This is one for the truly adventurous travelers out there. 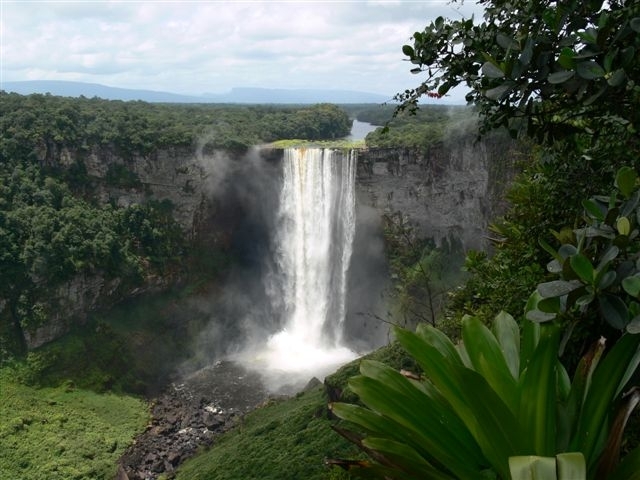 Most people likely don't even know where Guyana is, much less have it on their travel wish-list. I have a feeling a lot of people might guess that Guyana is in Africa for some reason. Guyana is actually in the northern part of South America, right next door to Venezuela. I've actually always wanted to check out Mount Roraima, which meets at the boundaries of the borders of Venezuela, Guyana, and Brazil (yes, that's the mountain from Pixar's movie "Up"). 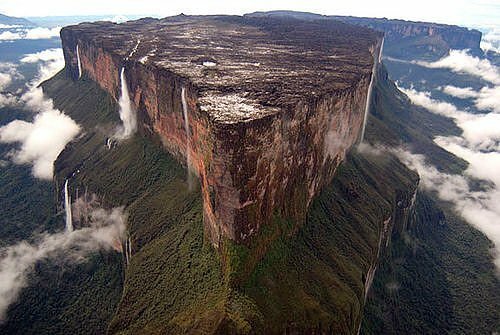 But I think the only easy way up Mount Roraima is on the Venezuelan side. And I don't think there's a way to access it by land from Guyana. Anyways, I know this deal won't have mainstream appeal, but I feel compelled to share it, since it's such a crazy price, more than 60% cheaper than the usual bottom price. Hopefully some adventurous souls out there can take advantage of it. Guyana is also the only South American country where English is the official language. It has some pretty incredible wildlife and rainforests, but doesn't have much in the way of tourist infrastructure. vancouver, yvr, flight deals, delta, south america, georgetown, guyana and geo. One Response to "Vancouver to Georgetown, Guyana - $507 roundtrip after taxes"
That is an awesome deal for those who aren't afraid to venture into the jungle and be eaten by a jaguar, be bit by a poisonous snake or spider. This deal is just as good as the Tokyo one from a few days ago. It checked and it works from PDX for even a bit less as well. Probably works from other cities as well.